IKEA is committed to renewable energy and running its business in a way that minimizes carbon emissions, not only because of the environmental impact but also for good business practices. IKEA invests in its own renewable energy sources so that it can control exposure to fluctuating electricity costs and continue to provide great value to its customers. 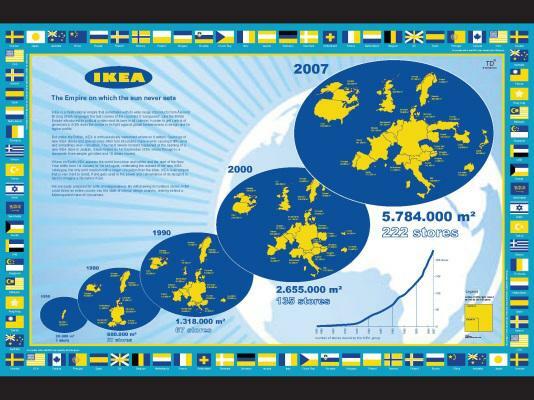 •By 2020, IKEA has committed to producing as much renewable energy as IKEA consumes in its operations. New projects over the next three years will take total investments in renewable energy to up to $1.95 billion, focusing on solar and wind (2009-2015). •In 2013, the IKEA Group produced 1,425 GWh of energy from renewable sources, including wind and solar, equivalent to 37% of the company’s total energy needs. •Globally, we currently have over 300,000 solar panels on our stores and other buildings and 83 wind turbines in operation. •We want to improve the energy efficiency in our stores and buildings by at least 20% and encourage our suppliers to do the same. Since 2010 IKEA has saved nearly $55 million through energy efficiency efforts in IKEA stores and warehouses. •All cotton used for IKEA production will be produced in line with the Better Cotton Initiative by FY15. The Better Cotton Initiative (BCI) is a not-for-profit organization stewarding the global standards for Better Cotton, and bringing together cotton’s complex supply chain, from the farmers to the retailers. •All wood used in IKEA products meets our Forestry Standards, to ensure that wood is logged legally and does not have a negative impact on the environment. As with all parts of our supply chain, if problems ever arise, we move quickly to address them. •IKEA is one of the biggest users of Forest Stewardship Council (FSC) certified wood, which is still in relatively limited global supply. oOver 20% of our wood is sourced from FSC certified forests. Over the coming years, 50% of the wood we use will come from preferred sources – wood that is recycled or comes from forests certified as responsibly managed. •Since we began working with WWF in 2002, we have helped to increase FSC certified forest areas by around 30 million hectares. •39 out of 44 (90%) of IKEA units across 20 states now have solar PV installations. There is a total of 165,000 solar panels providing 38 MW installed capacity with a yearly output of 49 gigawatts of electricity, the equivalent of powering more than 4,200 homes annually. This will mean 33,000 less tons of CO2 being created and is equivalent to removing 6,600 cars from the road. •For FY14, IKEA US will expand the solar installations atop 3 locations as well as install an array atop its future Miami-Dade store set to open this summer 2014. •IKEA Group has also installed 550,000 solar panels on IKEA buildings in nine countries. •IKEA US integrated a geothermal component into the heating and cooling system of the IKEA store in Centennial, CO. Another geothermal project is underway for a future IKEA Kansas City-area store located in Merriam, Kansas – slated to open Fall 2014. •IKEA US announced on April 10, 2014 that it’s making its first wind farm investment in the US with the purchase of Hoopeston Wind in Hoopeston, Illinois. The 98 megawatt wind farm is the largest single IKEA Group renewable energy investment globally to date and will make a significant contribution to the company’s goal to generate as much renewable energy as the total energy it consumes by 2020. The project is currently being constructed by Apex Clean Energy and is expected to be fully operational by the first half of 2015. •The Hoopeston Wind project will install 49 Vestas V100-2.0 MW wind turbines near Hoopeston in Vermilion County, Illinois, approximately 110 miles south of Chicago. •Hoopeston Wind is the most recent in a series of renewable energy investments by the IKEA Group, which has now committed to own 206 wind turbines worldwide. This includes investments in wind farms in eight other countries to date: Canada, where it is now the largest retail wind energy investor; Denmark; France; Germany; Ireland; Poland; Sweden; and the United Kingdom. •IKEA announced October 1, 2012, it will be the first US home furnishing retailer to sell only LED bulbs and lamps by 2016. LED lighting consumes 85% less energy than incandescent bulbs and can last up to 20 times longer. •IKEA will be converting its full lighting range to LED to enable millions of people to live a more sustainable life at home and save money on their energy bills. •IKEA will be selling the LED bulbs at the lowest price on the market, thus making it affordable for the many people. Additionally, IKEA is changing more than one million light sources inside the IKEA stores worldwide to LED and other more efficient lighting. •IKEA US phased out incandescent bulbs in 2010 as the first action towards energy efficient lighting. •IKEA US phased out all plastic bags in 2007 to support customers using only reusable bags. •IKEA has been working with American Forests to plant trees since 1988. Through the ‘Plant A Tree Program’ with IKEA and customer support, IKEA has planted over 2.2 million trees across America through American Forests programs. •American Forests, the national conservation organization, is truly committed torestoring our planet. Their mission is to protect and restore our forests; their vision is a world in which forests are thriving and valued for their significant environmental, societal, and economic benefits. 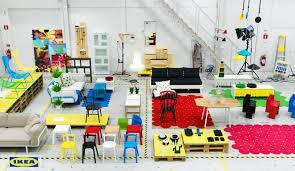 •IKEA is committed to helping drivers find better alternatives to get to IKEA stores. •Currently, there are 13 locations for IKEA (San Diego, CA, Costa Mesa CA, Carson CA, Covina CA, East Palo Alto CA, Emeryville CA, Tempe, AZ, Seattle, WA, Portland, OR, Atlanta, GA, Houston, TX, Frisco, TX, and Bolingbrook, IL,) where there are charging stations. In all, installation of units currently implemented brings the number of Blink charging stations available at IKEA locations to 44. •IKEA will strive for zero waste to landfill wherever possible, with a minimum of 90% of the waste from our stores and other IKEA operations sorted for recycling by the end of FY15. Through FY13 IKEA US recycled 75% of the material from our in-store operations and the take back of CFLs and other materials from customers. This includes cardboard, paper, plastics, wood, metal, CFLs and other light sources, and batteries. •We have 139,000 co-workers; around 600,000 people working for our tier one suppliers; and an estimated 2 million in our extended value chain. We want to have apositive impact on their lives, supporting positive economic, environmental and social programs. •Since our code of conduct for suppliers, IWAY, was introduced in 2000 we have seen audited improvements in environment and working conditions in supplier factories around the world. In the past year, more than 1,000 audits were carried out in supplier factories. Last year 100% of home furnishing suppliers were approved against IWAY or are being phased out. •CERES: IKEA US and other major brands such as Intel and Starbucks signed a ‘Climate Declaration’ (April 10, 2013) in coordination with BICEP Business for an ‘Innovative Climate and Energy’ policy. This document asserted that tackling climate change is one of the greatest American economic opportunities of the 21st century. These companies also called for Congress to address climate change by promoting clean energy, boosting efficiency and limiting carbon emissions – strategies that these signed businesses already employ within their operations. •White House Administration Announcement on Climate Change: On May 9, 2014, President Obama announced more than 300 private and public sector commitments would create and cut carbon pollution by advancing solardeployment and energy efficiency. IKEA US was included.